"Welcome to Steering Flint Forward! Please use this page to connect with the City of Flint’s..."
The Steering Flint Forward blog will be finding a new home on this website soon. In the meantime, please use the link below to view the blog. 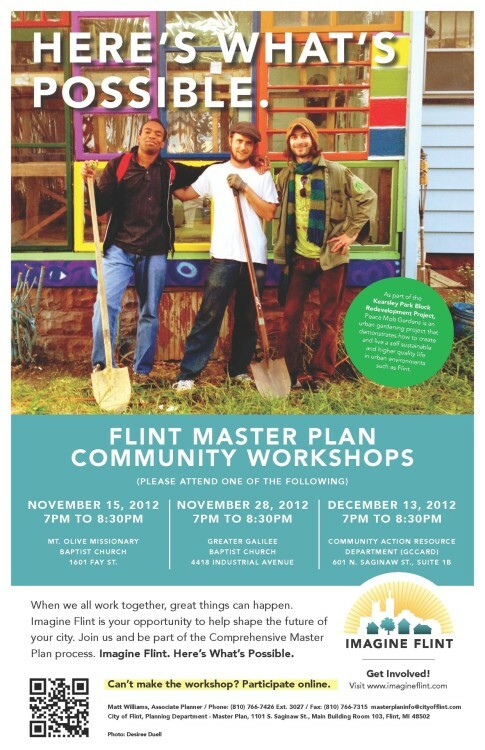 Have there been plans to include comprehensive "complete street" infrastructure development downtown or in other areas of Flint within the Master Plan? Thanks for the question Danny! Currently, there have been no plans drafted to include “complete streets” within the Master Plan. As the Advisory Groups begin to meet, the priorities and goals of residents will begin to be identified and recommendations made for inclusion within the Master Plan. Complete streets and overall mobility will definitely be something studied in the Transportation & Mobility Advisory Group. We encourage you or others to apply for these groups! The application can be found on the “home page”. Thanks again!